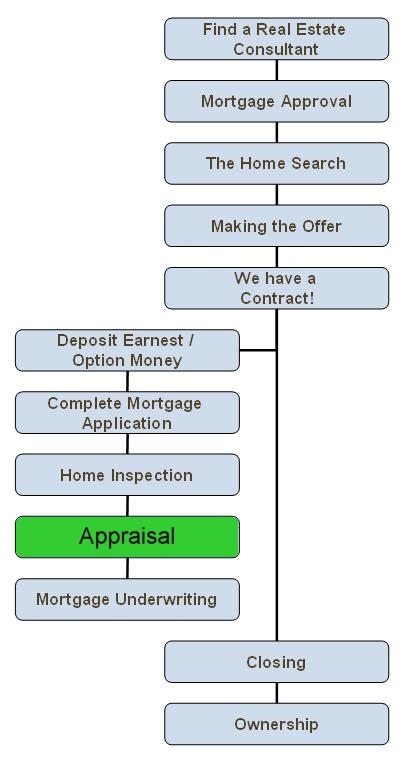 To keep things simple, a home appraisal is an objective opinion of value (usually considered market value). Market value is the most probable sale price of a property when typically listed on the open market for a reasonable amount of time. A great resource for detailed information can be found in this free guide published by The Appraisal Foundation, a non-profit organization authorized and established by Congress in 1987. The Appraisal Foundation is dedicated to the advancement of the appraisal profession. There are many types of home appraisals. 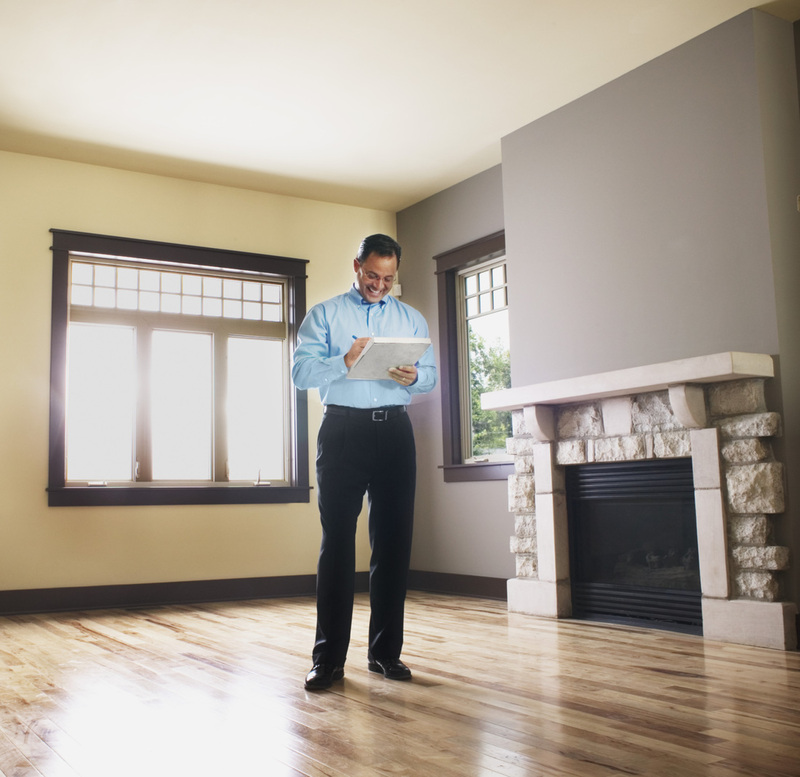 The type of home appraisal is generally named for its intended use. Listed below are just a few types of home appraisals and their descriptions. Bank or Lender Appraisal – an appraisal of a home intended to establish value for a loan. Pre listing Appraisal – an appraisal of a home intended to establish value and listing price. Probate Appraisal – an appraisal intended for use in legal proceedings. Divorce appraisals would be considered a type of probate appraisal. Estate Appraisal – a home appraisal completed for the beneficiaries of an estate or will. "In theory, at least, appraising is a simple concept to grasp. 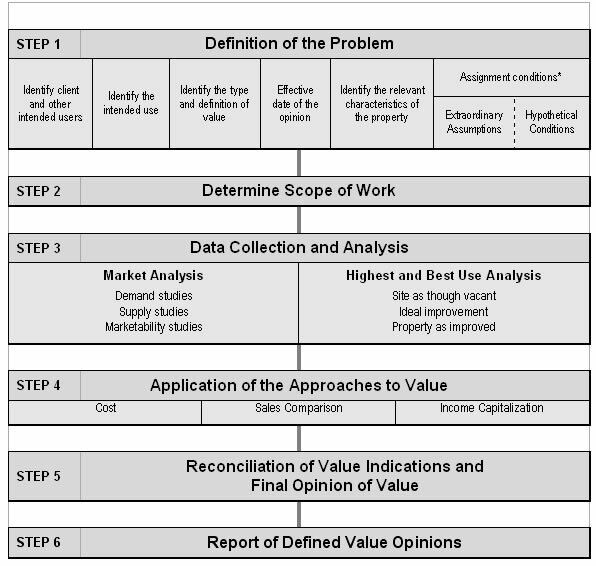 An appraisal is a supportable estimate of property value." Data Collection / The Appraisal Inspection – a licensed or certified appraiser comes to the property as part of the data collection process and inspects it, notes the condition of the property and studies the surrounding neighborhood. In addition, public data records such as deeds and town assessor's data are gathered and verified. Market Analysis / Comparables Research – after the inspection, the appraiser first defines and analyzes the market area. The appraiser then researches similar homes in your area and compares competitive recent sales, while making adjustments for features and characteristics that differ from your home. The Final Appraisal Report – using the data gathered from the inspection, public records, comparables and market research, your appraiser reconciles each approach that might have been used (Sales Comparison, Cost, or Income Approach). Lastly, they perform a final reconciliation to conclude an opinion of value and issue the appraisal report.